4 out of 5... is this a joke? No really? 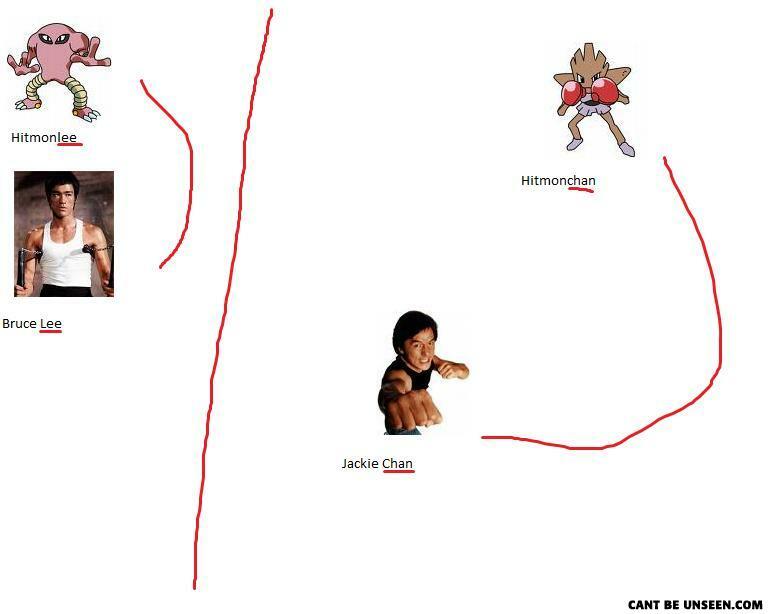 If you were as stupid as I was, you woulda read a Pokemon book and seen that it says "Hitmonlee and Hitmonchan were named after famous fighters Bruce Lee and Jackie Chan". Douchnozzels. So that's why hitmonlee has better stats! You also forgot to point out that you're a dipshit. Who didn't see this when Pokemon were released? Durr hurr derp. Interesting fact. Hitmonchan is named after Hiroyuki Ebihara. Hitmonlee is named after Tadashi Sawamura. The fighting style that guy up there is talking about is known as Kapoerer (Capoeria), which is what Hitmontop is named after.